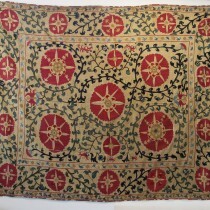 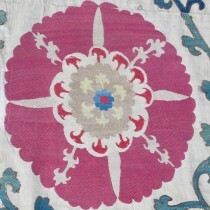 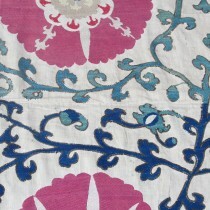 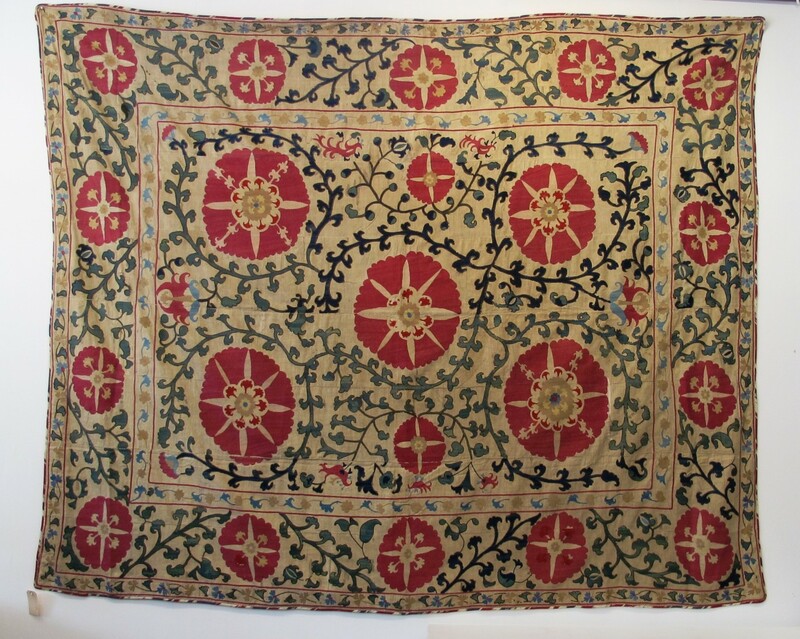 A dramatic suzani from Samarkand, with large elegantly drawn flowerheads and meandering vines. 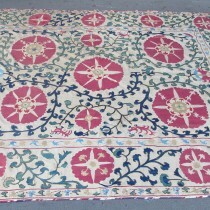 A very rustic example. 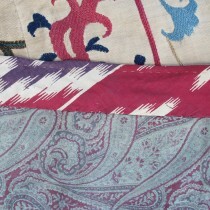 Backed and lined.